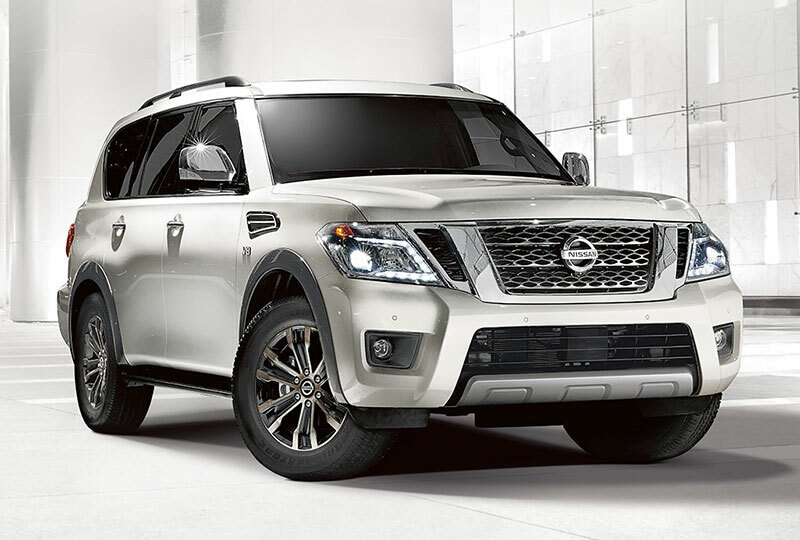 The 2018 Nissan Armada from Grubbs Nissan in Bedford, TX - serving Dallas, Fort Worth, Arlington, and Irving - is a powerful SUV for modern drivers. Take charge of your adventure with this road-conquering beast that provides up to 390 horsepower with the standard 5.6L V8 engine. Master every type of terrain and weather condition with an optional four-wheel-drive system that manages your traction like a pro. The muscular exterior exudes confidence with a bold chrome grille and the aggressively designed appearance. Inside, everyone can relax with comfortable cloth seats and the dual-zone automatic cliamte control system. Split-folding rear seats allow you to fit luggage and equipment with ease, so nothing gets left behind. Entertain long-distance drives with the 8-inch touchscreen infotainment display, which offers Nissan Connect® and navigation services. The standard Bluetooth® hands-free phoen system offers calling and audio streaming through the interior speakers. It's a great time to buy a new Nissan! 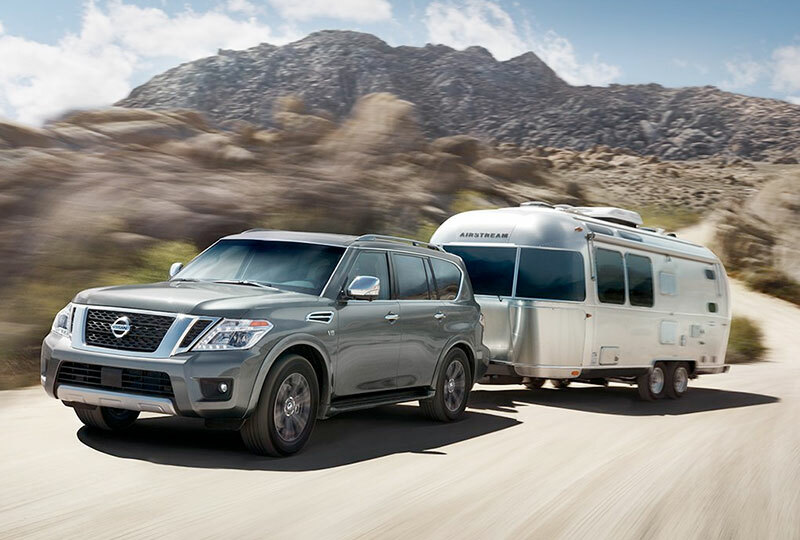 Our 2019 inventory is here, and we can't wait to help you find the 2018 Nissan Armada you've always wanted. Visit the showroom located at 310 Airport Freeway in Bedford, TX, to take your test drive today! The Nissan Armada delivers a bold message wherever it goes. From its confident, sophisticated stance to the distinctively designed wheels, this vehicle refuses to go unnoticed. Nissan takes a comprehensive approach to safety that guides the engineering and development of every car we make. It's our way of looking out for you and yours. 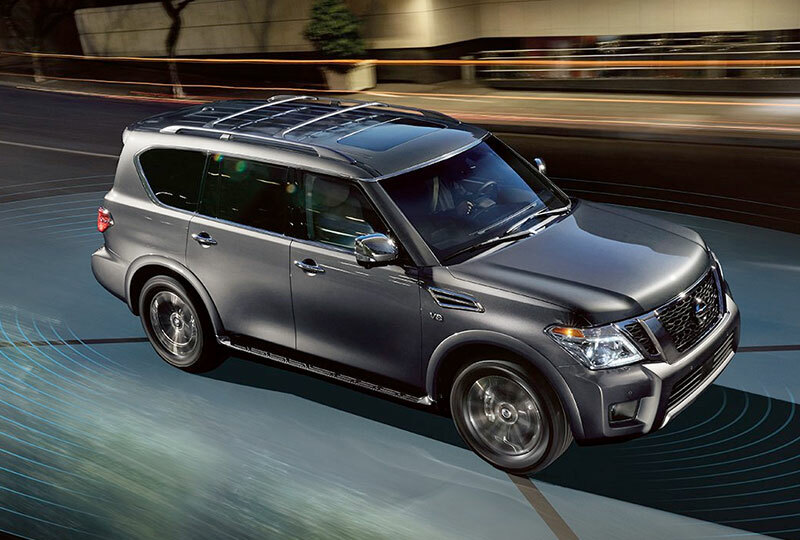 Armada has serious capability, but its available advanced technology is just as impressive. 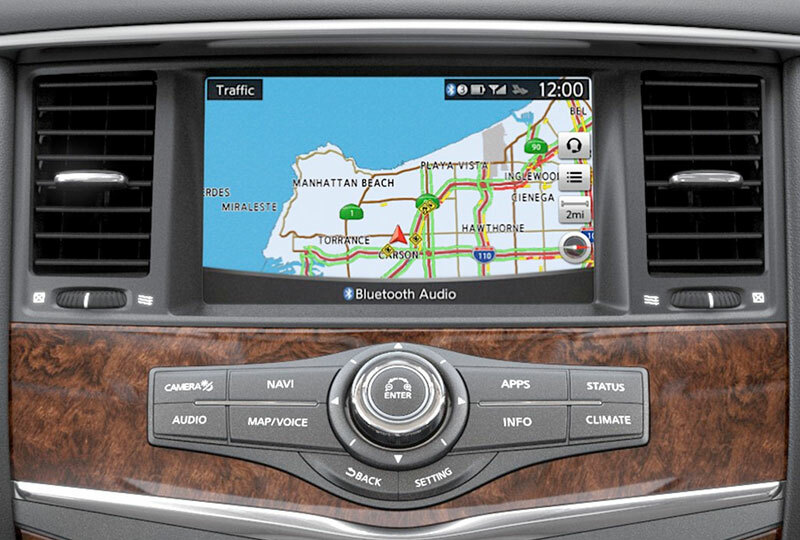 Case in point, the Nissan Navigation System gives you SiriusXM® Traffic and Travel Link® to help you stay on top of traffic and the latest news. Add in hands-free calling and a premium audio system, and you have every tool you need to make the day truly memorable. Required monthly subscriptions sold separately for each available SiriusXM feature after trial period, and are continuous until you call SiriusXM to cancel. Installation costs, one-time activation fee, other fees and taxes will apply. Each SiriusXM feature availability is dependent upon vehicle model, trim level, packaging, and/or options, and may only be available in select markets. Satellite Radio U.S. service, NavWeather® service, and SiriusXM® Travel Link® services (if any of the foregoing features are equipped on vehicle) available only to those 18 or older in the 48 contiguous states and D.C. Fees and programming subject to change. Subscriptions governed by Customer Agreement available at siriusxm.com. ©2017 SiriusXM Radio Inc. Sirius®, XM® and all related marks and logos are trademarks of SiriusXM Radio Inc.
Driving is serious business and requires your full attention. If you have to use the connected device while driving, exercise extreme caution at all times so full attention may be given to vehicle operation. Smartphone or other external device not included. Availability of specific features is dependent upon the phone's Bluetooth® support. Please refer to your phone Owner's Manual for details. Bluetooth® word mark and logos are owned by Bluetooth SIG, Inc., and any use of such marks by Nissan is under license. See NissanUSA.com/bluetooth for details.